While winning a championship is every sports organization’s benchmark for success, coming close isn’t a complete failure, at least in terms of generating immediate fan engagement and revenue. Until last night, and with last year’s loss against the San Francisco Giants, the Kansas City Royals had not won a World Series championship since 1985. Even though it was almost 30 years since their last title, due to their recent accomplishments including back to back championship appearances, the Royals franchise has seen a positive impact on their fan engagement and overall financial success of the franchise. 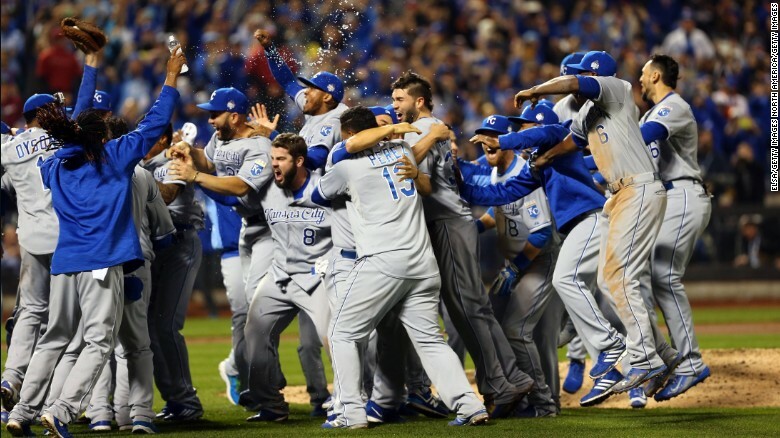 From a measurement perspective, The Royals’ 2014 World Series appearance helped improve overall fan consumption. According to an article in the Kansas City Star, 70 percent of adults in the Kansas City DMA either watched, attended or listened to at least one Royals game in 2014. At 70 percent, this kind of fan consumption was tied with the Kansas City Chiefs and far surpassed University of Missouri sports teams. Attendance jumped 12 percent for the season, and the playoff run generated more than $20M in revenue for the club. The average attendance per game in 2014 was 21,628 and jumped to 26,587 in 2015. One question that immediately comes to mind is whether or not this success will be sustained over a long period of time, or will it just be something that is short-lived? The Tampa Bay Rays were runner-ups in the 2008 World Series, which was also the team’s first winning season. They saw some success in total revenue for that year with a total franchise revenue of $160M in 2008 (up from $138M in 2007), but dropped to $156 the following year. They improved from a franchise value of $290M in 2008 to $320 in 2009, however, it is still considered one of the least valuable franchises in MLB. The Texas Rangers saw a spike in average regular season home attendance between 2011 and 2012 following their trip to the World Series in 2011 against the St. Louis Cardinals in which they were defeated. The Detroit Tigers lost the World Series to the San Francisco Giants in 2012, but making it that far helped overall revenue increase from $238M in 2012 to $262M in 2013. Since 2002 the Royals have continued to gain value as a franchise. The most success the franchise has had was following the 2014 World Series appearance and is projected to improve following this year’s championship. At the start of the 2015 season, the Royals were ranked 5th in the league in attendance and the average Royals ticket cost nearly $30, which was the eleventh-most expensive in the league at the time. With Kansas City’s World Series victory over the New York Mets, it will be interesting to see if this is something that will help the franchise for many years or if it is something that is short-lived like it has been for other teams like the Rays. World Series appearances help generate team popularity and fan engagement while also helping with immediate revenue growth, but what remains important for continued success is consistency. T-Mobile is coming out as the first-ever presenting sponsor of the MLB All-Star Game and launching a promotion that could give a total of $5 million to MLB fans. The promo boosts T-Mobile’s “Mobile Without Borders” initiative, which allows customers to use their phone in Canada and Mexico without extra fees. In order to get the chance to win a $500 travel voucher to Canada or Mexico, fans need to tweet a prediction of which MLB All-Star participant will hit a 3-Run Home Run while using the hashtags “#3for1HomeRun” and “#sweepstakes.” As soon as a 3-Run Home Run is hit, T-Mobile with randomly chose 10,000 fans who tweeted their guesses and award them their prize. Held entirely on social media, this sweepstakes offers MLB fans a chance to win big. Chevrolet is continuing to hit marketing grand slams as they preserve one of the best branded content plays for the MLB All-Star Game. Tuesday’s red carpet parade will feature the MLB All-Star Game participants as they each ride in a separate Chevrolet vehicle to the Great American Ball Park in Cincinnati, Ohio. The All-Star Game MVP Vote presented by Chevrolet also allows fans to vote for the Ted Williams All-Star Game Most Valuable Player through MLB.com and Twitter. The lucky All-Star Game MVP will drive off in his choice of a Gen 6 Camaro Convertible or the Silverado Midnight Edition.